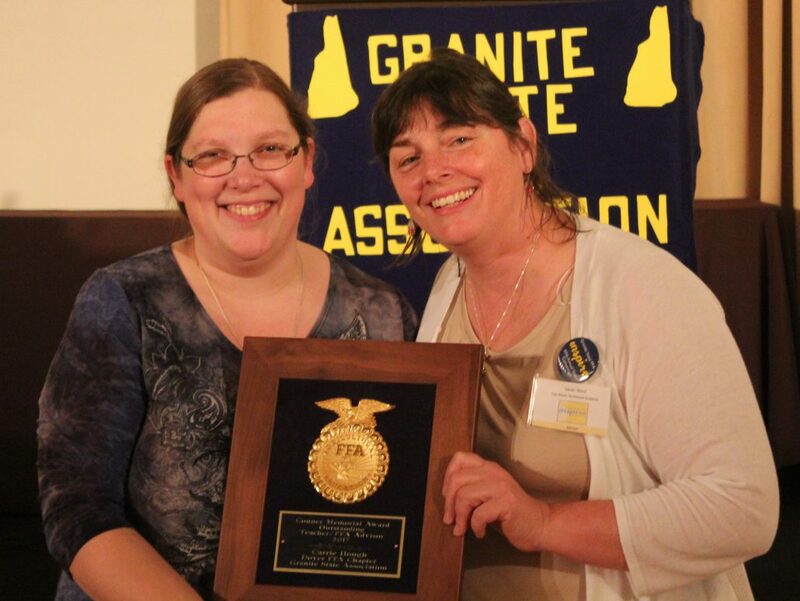 Coe-Brown Northwood Academy Alumna Carrie Bascom Hough, class of 2002, recently received the Connor Memorial Award for Outstanding Agriculture Educator for NH, 2017. Mrs. Hough teaches Animal Science at Dover High School. She is pictured with her mentor Mrs. Sarah Ward (right), CBNA Agriculture teacher.